A custom woodworker who hoards his own work discovers that a custom table he made from pine wood can speak in this film project posted on Kickstarter. The kicker? This discovery occurs after the young carpenter has promised his girlfriend he would not keep another piece of furniture. But how can he part with perhaps his greatest creation? Director Adam Evans hopes to provide the answer in this independent film project. Evans, an award-winning producer and director, describes this project as "extremely personal...Every artist has struggled with artistic insecurity and through this film, we explore an artist's discovrey that he must ultimately let go of his work." Six days away from the close of its Kickstarter funding date on Jan. 5, 2014, the film has already garnered 61 backers and neared its goal of $3,990 with $3,101 pledged. According to Kickstarter rules, the project will only be funded if the full goal is met. Below Evans and producer Jamie Sweet discuss the Pine Tree film project. 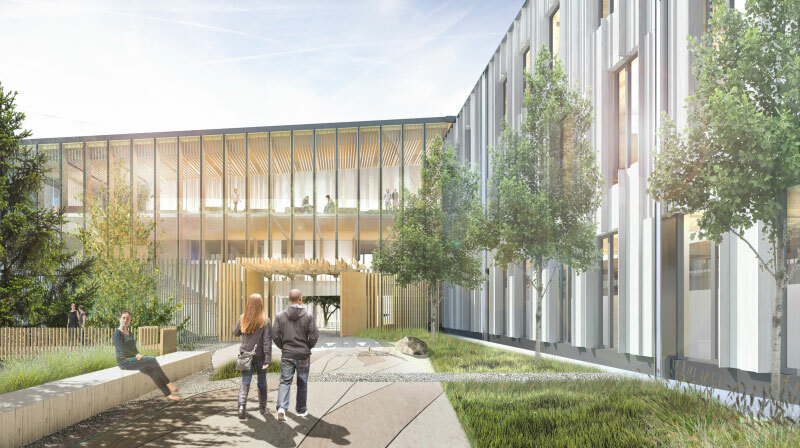 Cross-laminated timber panel fails at Oregon State Univ.